By adding the phone to your research mix, you can reach demographics not available online. In fact, did you know that nearly 20 percent of the U.S. adult population doesn’t use the Internet, but 98 percent has access to phones? With a multi-mode approach that incorporates phone and Interactive Voice Response (IVR), you can reach this population and improve research results. The phone is an effective and practical way to reach specific demographics needed to fulfill research quota requirements quickly. Survey call center automation enables you to target your efforts to reach the right people faster, meet your deadlines and minimize the need to weight data. The clock is ticking. You need to get a designated number of completes, from various demographics, often on a tight deadline. Adding phone data collection to your online method, either in parallel or sequentially, can help you meet project deadlines. Telephone research provides a direct conversation with a willing participant, whether that’s a customer or a voter. The interviewer has a pre-approved script, of course, but that person is also guiding the participant through the data collection process. If a participant needs to have the question clarified, the interviewer is trained to do so without leading the participant. We all have our preferred communication vehicle and that changes based on the time of day. By engaging in multi-mode practices, you allow participants to speak to you via their chosen communication method—whether it’s phone or online, it’s on their terms. Customers like to be heard. One of the more frustrating situations for customers is the feeling that they’re being ignored. With on-phone research, if an issue is uncovered, interviewers can pass customers directly to customer service representatives for immediate resolution. On-phone research helps to verify that you’re reaching the right respondent. For instance, interviewers can usually detect the gender of the participant with a relatively high degree of accuracy. Also, telephone-based research operations often call back 10-20% of the prior day’s participants to verify participation and do any other follow-up quality assurance questions. Clients and managers can monitor all activity either live or afterwards via audio from recorded interviews. The good news is that Qualtrics researchers can now partner with survey call centers to conduct phone and online surveys concurrently and store all the data in one place for analysis and reporting. Visit the Qualtrics Innovation Exchange to learn more about the Survox™ Qualtrics solution for multi-mode data collection. 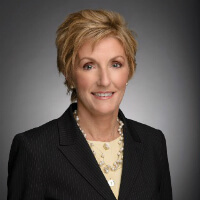 Bio: Mary McDougall is CEO of CFMC, a technology provider serving market research and public opinion polling with the industry-leading Survox™ call center automation solutions and Survent® survey management platform. Mary’s career as a corporate innovator and software entrepreneur has focused on using technology to drive process optimization in some of business’s most challenging environments. Phone-based research automation, with a focus on multi-mode data collection, is her latest endeavor.